Branch out and bring the woods into your home! We’re thinking small scale. A few beautiful stumps and logs will do. We’ve been been fascinated with tree stumps since as wee ones we learned to count their circles to determine a tree’s age. 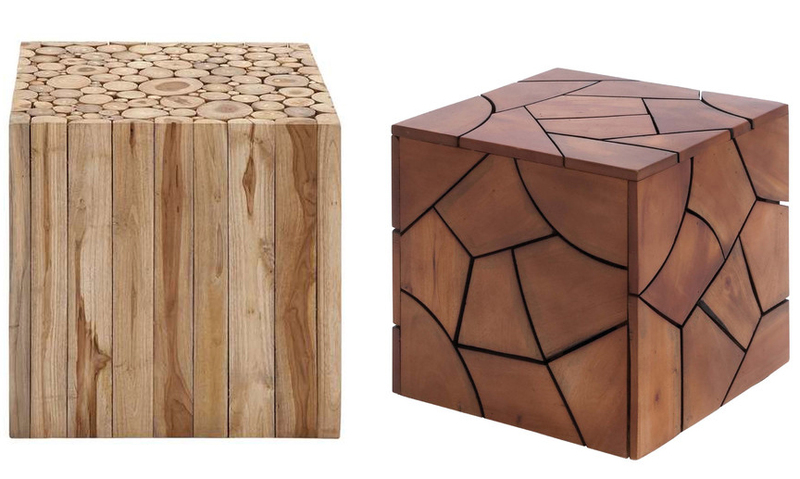 You don’t have to be a tree hugger to appreciate these beautiful blocks as accent tables, side tables and more. 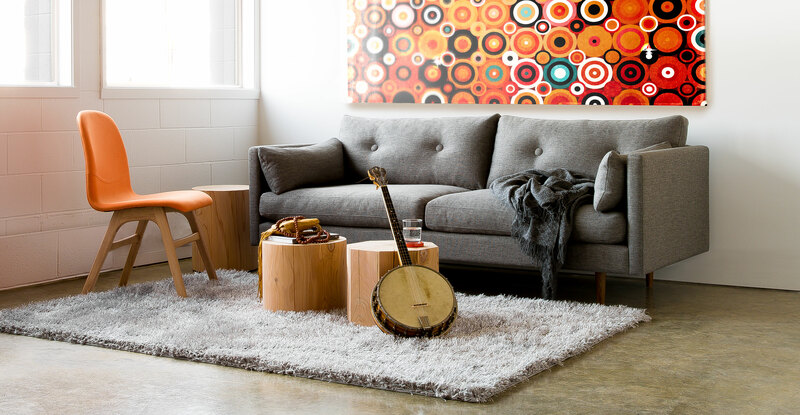 Wood is warm and versatile and adds organic texture to your living space. Check out these little beauties and how to style them, from minimalist to classically chic. 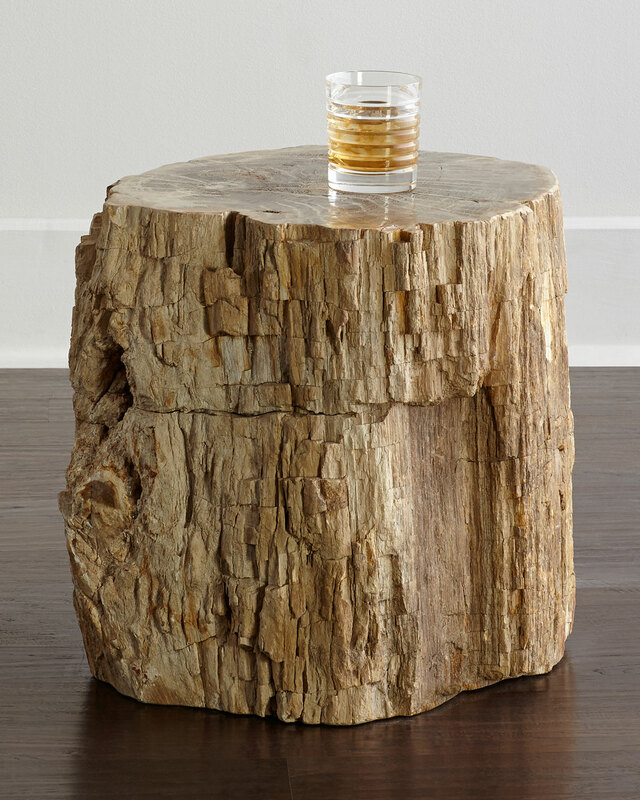 West Elm has a beautiful specimen crafted from naturally fallen cypress trees. 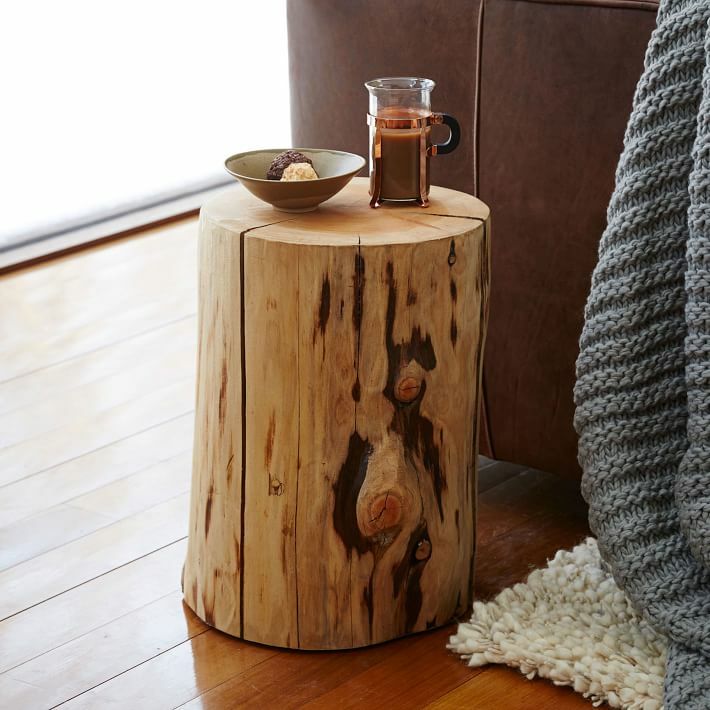 The Natural Tree Stump Side Table is all solid wood, and with its clean good looks, lends itself to various room and home decor aesthetics. The Thuja Block by bryght was born as a red cedar tree in the rain forests of the Pacific North West. 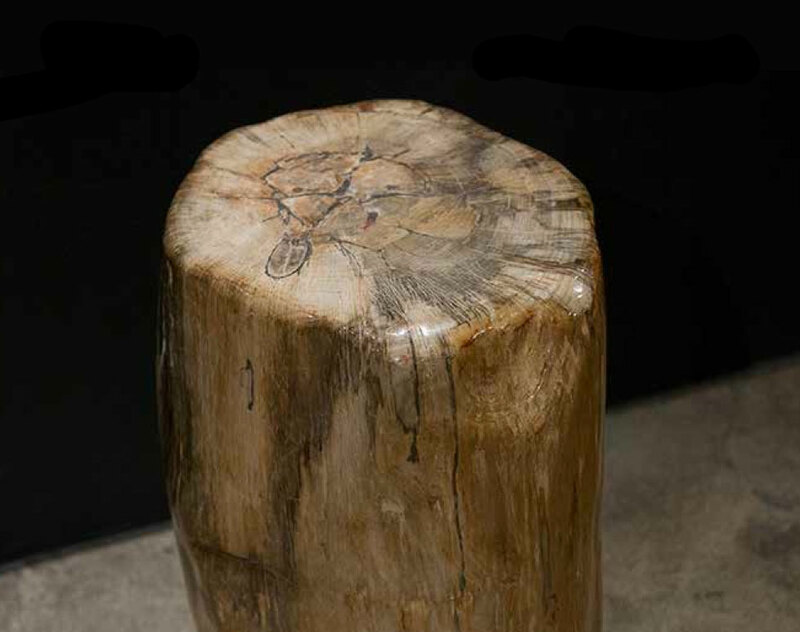 The cylinder is coated in a protective liquid wax but still features its natural cracks and knots. Bryght also sells other sizes and octagonal shapes (see top image). 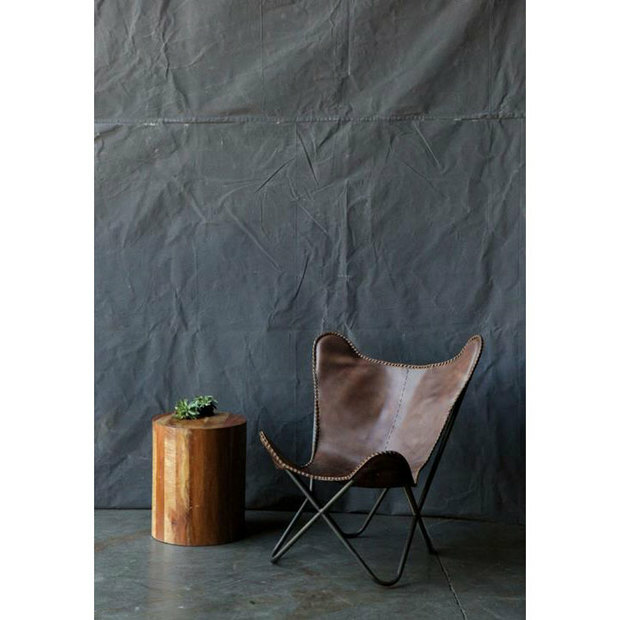 Woodland Imports’ wood block stools are more abstracted yet still offer clean and sleek lines. Check out the Mahogany Solid Wooden Stool and the Square Shaped Wooden Klaten Stool. 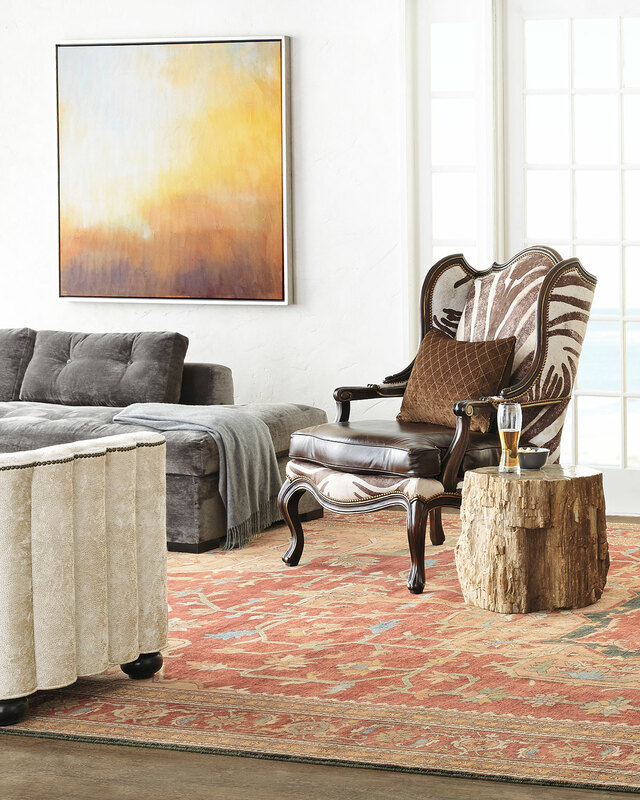 In the foothills of western Carolina, family-owned Bernhardt Furniture Company specializes in fine wood furniture. Sold on Horchow, this ruggedly elegant Bangor Petrified Wood Side Table is on the pricey side, but after all, petrified wood wasn’t made in an overseas factory yesterday. 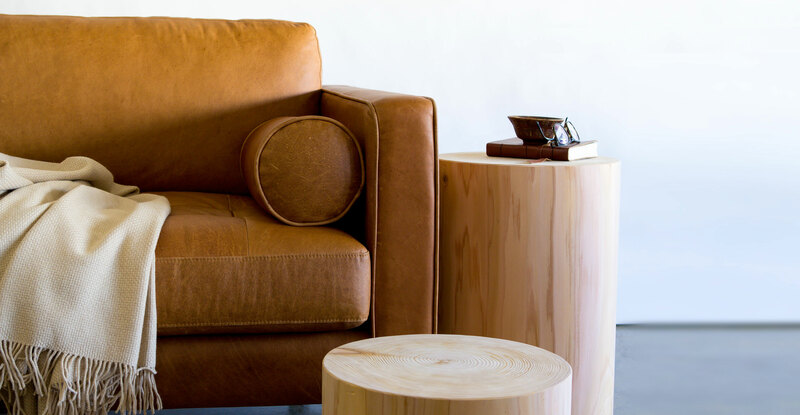 Hudson Furniture Inc. in New York does amazing hand-made work with wood via a team of artisans. Inspired by artists such as Noguchi and Brancusi, their range is vast, covering fantastic lights, tables beds and more. Take a look at their occasional Tables collection featuring this Rosewood End Table and Birch Pedestal. 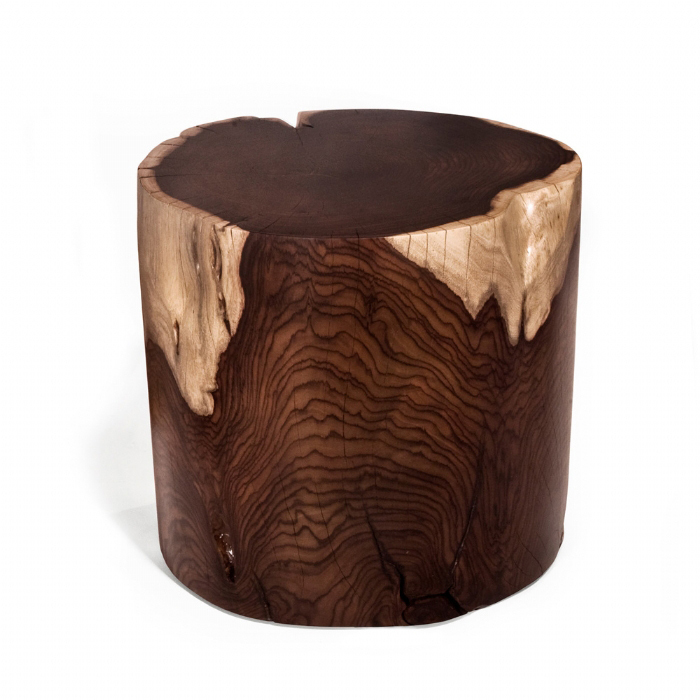 Dot& Bo also celebrates the art of the trunk with a minimalist Stumped Stool. We love how it’s styled here with a single, pretty succulent, to stay true to the nature motif.